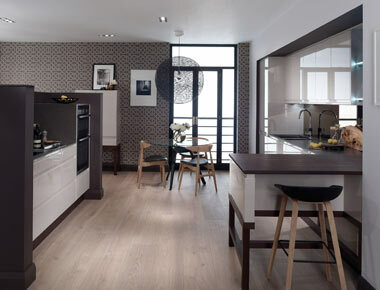 Contemporary kitchens are designed for modern living and offer a wealth of design options. Combining high quality materials, strong lines and clever storage - a well designed modern kitchen is something that will never be out of fashion. Signature styling cues of contemporary kitchen design include straight edges and flat or slab doors and drawer fronts. High gloss has long been a popular choice of finish when it comes to opting for a modern kitchen, however matt finishes have recently been becoming more and more in demand thanks to the subtle and sophisticated look they offer. The kitchen is much more than simply a place to store food and cook in many homes. Contemporary design reflects this and enables you to achieve a highly functional yet also stylish, beautiful and comfortable space in which to dine, relax or entertain. 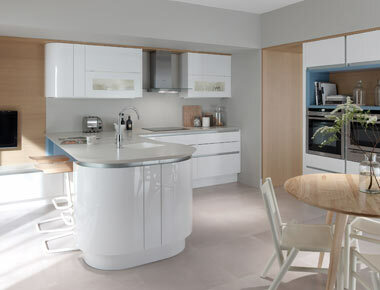 A popular choice for a contemporary kitchen is a handleless design, which gives a fantastic minimalist look. For those who prefer handles, a wide range of stylish options are available to complement the modern look. Browse our complete range of contemporary kitchens or contact us to discuss your individual requirements. We have a wealth of experience and knowledge to help bring your kitchen dreams to breathtaking reality.